Kpoene’ Kofi-Nicklin ’02 is in a loft on Chicago’s West Side, steaming the wrinkles out of a long tulle veil. A photographer bustles by, preparing to take pictures of a model wearing bespoke wedding gowns designed and sewn by Kofi-Nicklin. The pictures will eventually be posted to social media. The dresses hang together on a rack like a shimmering cloud. Kofi-Nicklin’s wife, Anne Nicklin, appears and asks if she needs anything before the shoot begins. The designer absentmindedly declines. Unexpectedly, she brings up Iceland. In a wedding industry now dominated by social media—according to 2016 surveys by wedding resource the Knot, 62 percent of brides use their mobile phones to browse for dresses, and 70 percent find wedding inspiration on social media—Kofi-Nicklin has positioned herself not only as a designer and shopkeeper, but also as a self-starting fashion editor, digital marketer, and online entrepreneur. In 2017 alone, she organized additional trips to Amsterdam, Paris, and Toronto for photoshoots of her gowns, and lent dresses to photographers around the world for their own editorial photography. The meticulously styled, aspirational images from these excursions filter through Instagram and Pinterest, where tags lead brides right back to Mignonette’s own Instagram page and Etsy shop. Fashion and the Internet converged organically for Kofi-Nicklin, who moved to New York in 2002 after graduating from Middlebury, where she studied English literature and women’s studies. 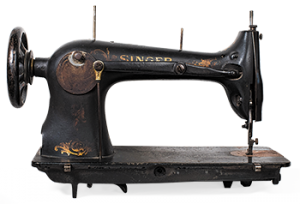 As a student, she picked up sewing in the Theatre Department’s costume shop, repairing and designing costumes for dance productions and plays. She had learned fashion illustration and design theory in a costuming course at Midd, and in New York decided to enroll in design classes at Fashion Institute of Technology. She lived in Brooklyn and fell into a collective of designers who were building the momentum for a soon-to-be-global handmade movement and the kind of DIY online retail that launched Etsy in 2005. Kofi-Nicklin and Nicklin, an architect, met in New York and lived briefly in San Francisco. They were married in 2009 in Montréal, and photos of their romantic ceremony can still be found on wedding blogs. 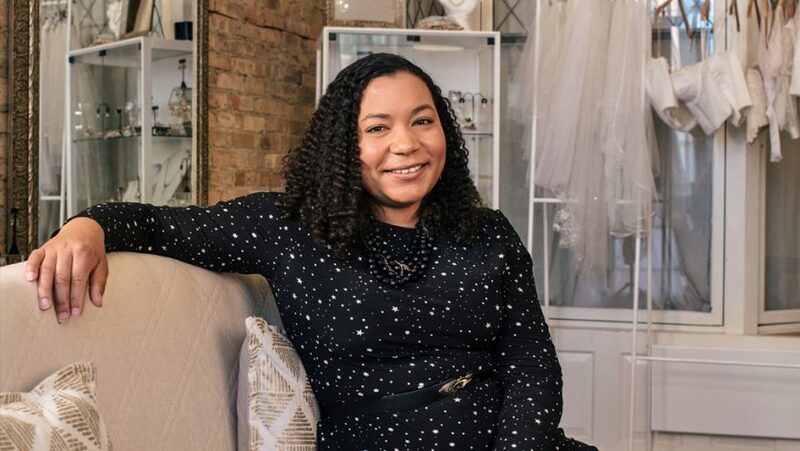 Kofi-Nicklin designed and made her own gauzy dress: “My gown lives here in the store, and every time we finish a custom gown I put a little bit of my dress in the hem. That’s their ‘something old,’” she says.